Home For chameleons What Chameleon Care Supplies Do You Need? Chameleons are indeed amazing animals, but taking care of one is not a task anyone can and should do since they have specific requirements that need to be met in order to be healthy. So, besides the screen reptile cages for sale you might be checking out right now, there are other things that need to go on your list of necessary supplies. 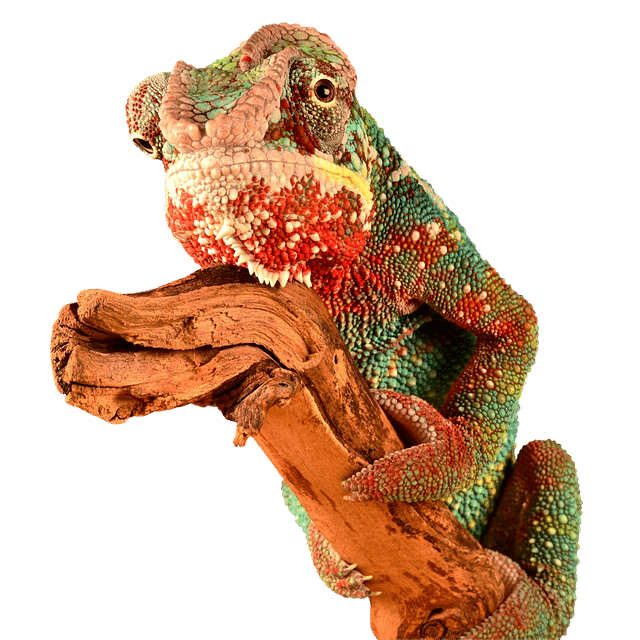 It’s true that their fascinating capability to change colors makes these reptiles appealing to many people who want to have an exotic pet, but if you don’t have too much experience in owning reptiles, you might want to start off with something easier to take care of. In the following lines, you’ll find some important-to-know facts about chameleons, as well as a comprehensive list of what you are going to need if you have already made up your mind and you are going to purchase one of these little guys. One of the first things you need to know about chameleons is that they use their ability to change colors for three main reasons, namely to communicate with other individuals, to adjust their body temperature, and as camouflage. The most fascinating part is that they actually have a special layer of nanocrystals under their skin which reflect light differently, leading to the color change. They are not actually changing color pigments, but their skin simply reflects light in various ways to create the color adjustments. 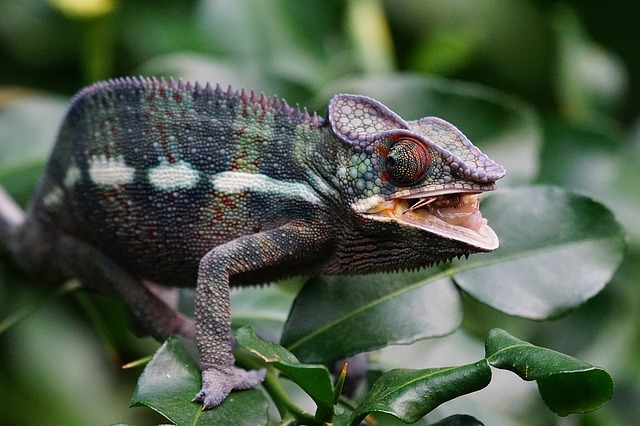 Chameleons are solitary creatures that can be easily stressed, especially if handled more than necessary, and they can also hiss and bite if they feel threatened. Although not dangerous, such a bite can hurt quite a lot. For this reason and for many others, they should never be a child’s pet. In terms of communication, a dark brown or black chameleon is usually stressed, while bright colors indicate a happier and relaxed mood. These reptiles use their strong tongue that can stretch up to one and a half times the length of the body to catch insects from afar. Some species can also eat vegetations, but the diet always consists mainly of insects. When it comes to their temperament, chameleons are solitary creatures that like their privacy, being the more look-without-touching type of pet. Two males should never share the same space since they will most probably end up fighting and hurting each other. In the wild, chameleons are arboreal, which means that they live exclusively in trees. Therefore, creating an optimal environment inside the house can be quite tricky, especially if you live in a rather small apartment. 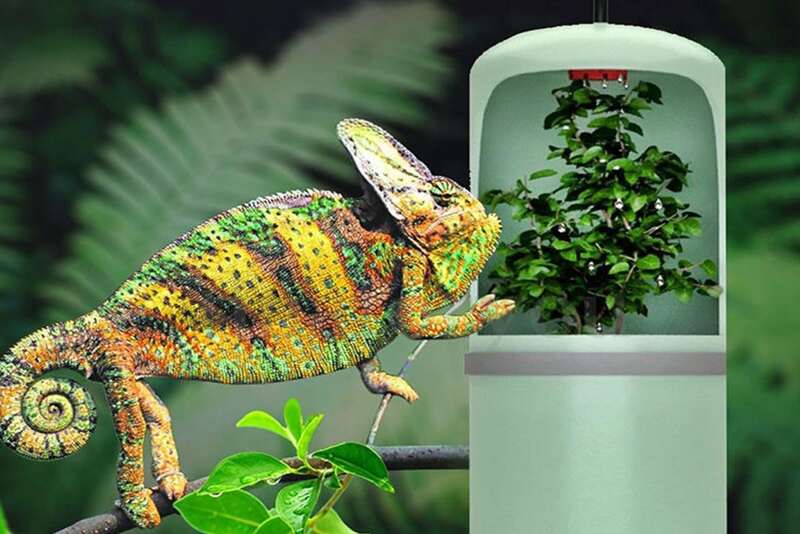 These reptiles need cages with a lot of foliage that they can climb on and that can ensure the necessary privacy. The enclosure needs to be quite large since chameleons tend to grow and attain maturity rather quickly. 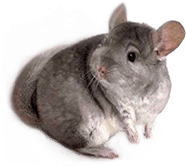 Depending on the particular type you want to get, you should check with a vet or a specialist and see exactly what measurements you should consider for the enclosure. Ample ventilation is required, and you might need to coat the cage with some poly mesh or live foliage to prevent potential toe injuries. However, pay attention and avoid plants that might be toxic, since chameleons might eat the foliage. The substrate is also important for your pet’s health, and the one made of small particles such as sand, bark, gravel, or moss should be avoided since a chameleon can accidentally ingest it while catching the prey. You should also note that certain chameleons are happier at lower temperatures, while others prefer higher ones, so you’ll need to ensure several areas of various temperatures. Each breed has some specifics in this case, so don’t forget to research this topic for the one you will choose. In the wild, these animals get their water from those droplets they find on various surfaces, so you will not be able to use a dish. Either a dripping system or misting the enclosure two times a day will do the trick. A good dripping system can be either purchased or you can fashion one yourself using a water container with a pinhole. This can be placed at the top of the cage. Another fun solution can be to place ice cubes on the top of the cage, that will slowly melt and drip. However, no matter the solution, always place the water system in the same spot, so that your little friend knows where to find it at any moment. Keeping an optimal humidity level is also part of the job, and misting can help here. But be careful not to overdo it and to constantly monitor it, since high humidity is not advisable either. Being reptiles, these beautiful creatures need exposure to both UVA and UVB rays. Moreover, having access to some natural sunlight that can get through an open window is a very good idea that will keep them healthy and happy. UVB lights should be working for 10 to 12 hours every day and a timing system can be of great help to maintain a consistent lighting level. Make sure that you follow any indications from the manufacturer since otherwise there’s a risk of causing thermal burns to your chameleon. You can also look for specific light fixtures that prevent your color-changing friend from getting too close to the source. If we haven’t mentioned already, chameleons are not the cheapest pet you can have, since their particular needs require some significant investments on your part. Besides the crickets and other insects that you are going to use to feed your chameleon, some additional nutritious solutions might be required. For very large chameleons, a pre-killed mouse every now and then is welcomed. In the case of those species that eat vegetables, collard, kale, mustard, or romaine lettuce can be safely added to their diets. On top of this, don’t forget to check with a specialist or a vet to determine what other multivitamins, calcium and vitamin D3 supplements you should include in the diet and how to best do that.